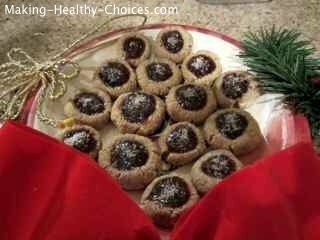 Making-Healthy-Choices e-Zine #017 - It's Time to Make the Cookies!! First off this month I want to wish you a very very happy and healthy holiday season. I wish for the new year to bring to you an abundance of peaceful, joyous, healthy and harmonious moments. I want to take a moment to express my gratitude to all the readers of this newsletter and followers of our website. It is because of you that I spend my moments creating these things into existence. If it wasn't for you they wouldn't be here. And for that I want to express my heartfelt thanks to you for being here and for being dedicated to your health in whatever way feels right for you at this moment. I hope that you will continue to follow us in the new year. We have so much great content to share with you in 2013 that we are very excited about. As we all move forward I wish that every day brings you closer to your positive potential, to your highest health, to your life purpose. It's time to make the cookies!!!! Growing up I have fond memories of decorating Christmas cookies with my Mother. Now, in my own home, I still enjoy doing this and for the last several years I have been using the same recipe. This recipe is raw and vegan. It is super healthy and also tastes great! There are only a few ingredients and you can use the cookie dough to make several different varieties of cookies. Of course at this time of year Xmas shape cookies are my favourite. 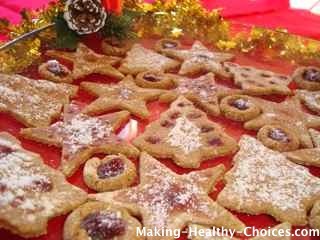 Play with this recipe and come up with your own ideas to decorate and make these cookies festive and full of holiday cheer. CLICK HERE TO SEE FULL RECIPE.